Amanda asks: What is gluten and why is it bad for you? These days, just casually strolling down a grocery aisle, one can find a multitude of gluten-free products. From gluten-free whole grain bread to gluten-free beer to gluten-free Betty Crocker chocolate brownie mix, the market for food items without gluten has exploded over the past decade. But is gluten all that bad for you? Should a normal person avoid gluten in their diet? What’s the deal with the gluten? Gluten (meaning “glue” in Latin) is just a name for a group of proteins most often found in grains like wheat, barley, and rye. The term ‘gluten’ actually refers to two families of proteins: glutenins and gliadins, which exist in the mature seeds of these grains. Gluten is sticky, stretchable, elastic, and can act as a thickening agent in products besides food, like toothpaste and hair gel. While our ancestors were hunter/gatherers, about 10,000-12,000 years ago (probably beginning in Western Asia) we began transitioning to a more grain-based diet via cultivation and advancements in agriculture. Celiac disease is an outright (so far incurable) gluten intolerance- even a small amount of gluten can trigger an autoimmune response within the body. This causes the rejection of the proteins instead of the absorption of them. The reaction damages the villi (hairlike elements) lining the small intestine. If left untreated, this can cause inflammation, diarrhea, bloating, irritable bowel syndrome, ulcers, intestinal cancer, anemia, and other nutritional deficiencies, sometimes leading to death. Celiac disease affects approximately one percent of the U.S. and U.K. populations today (and is generally thought to have similar numbers elsewhere in the developed world). This is 4-5 times as many people than were diagnosed around the mid-20th century. There are several theories why cases of celiac disease are on the rise. While your first thought might be that increased screening might be the culprit, rather than an actual rise in the prevalence of the disease, it should be noted that according to a study done by Dr. Joseph Murray of the Mayo Clinic which looked at blood samples from the 1950s, its was confirmed that celiac disease is indeed on the rise, with results showing approximately a fourfold increase today vs. the 1950s. So what gives? In 2011, executive directors at the University of Chicago celiac disease center speculated that improvements in sanitation and hygiene in developed countries have put our bodies more at risk because our bodies have not needed to learn how to fight certain microbes off, perhaps contributing to the issue. Another possible explanation is the increase of gluten and complex carbohydrates in our diet; it’s been said we are in a state of “gluten overload.” There is also a theory that the introduction of infant formula and the drastic reduction in breast-fed babies may be a contributing factor. Breast milk contains, among many other beneficial elements, bifidobacteria, which helps protect infant intestines from damage. While in the 1950s infant formula was the primary nutrition for about half of all babies in the United States, today, despite all widespread medical recommendations to the contrary, only 12% of babies in the U.S. are exclusively breastfed for at least the first 6 months of their lives, which is the bare minimum span generally recommended. It is also thought that genetics plays a role. According to a 2003 study published in the Archives of Internal Medicine, the odds of having the disorder jumps to 2.5 percent if a member of your extended family has it – an uncle, cousin, so forth. If a member of your immediate family has celiac disease, it goes up to 4.5 percent. 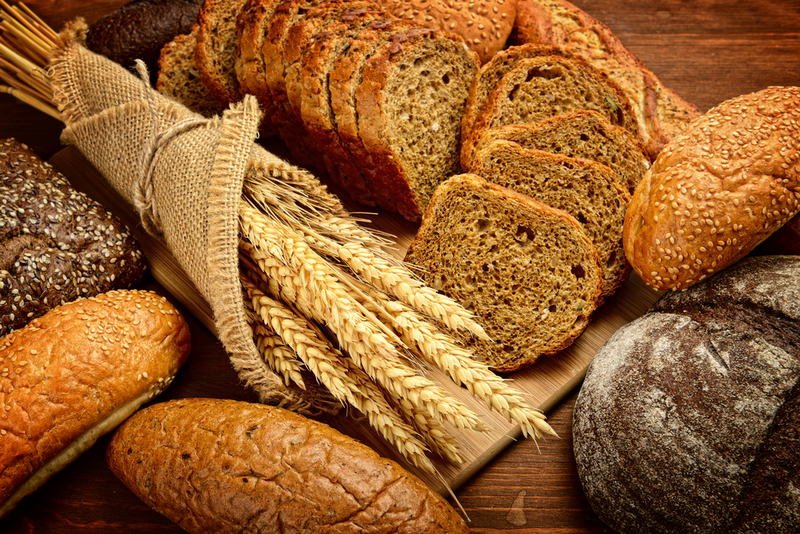 Ethnicity and heritage can also determine if you are more or less prone to celiac disease. People of African, Hispanic, or Asian descent are less prone, closer to 0.5 percent. With all of this newfound research and fear around gluten sensitivities and celiac disease, it’s no wonder that companies have begun to market so many gluten-free products. But most doctors will say, unless you are the one percent with celiac disease, going gluten-free is an unnecessary step. The number-one reason consumers cite for buying gluten-free products is that they are perceived to be healthier than their gluten-containing counterparts…. Despite the health claims for gluten-free eating, there is no published experimental evidence to support such claims for the general population. In fact, there are data to suggest that gluten itself may provide some health benefits, and that gluten avoidance may not be justified for otherwise healthy individuals. [People who go gluten-free] consume gluten-free packaged products that are often just as high in saturated fat, sugar and sodium as other junk food, and these products often contain high-glycemic refined ingredients like white rice flour or fillers like potato starch that can affect your blood sugar and trigger cravings. 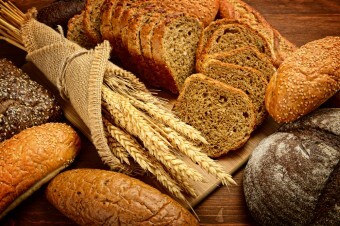 Studies also show that gluten-free diets can cause deficiency in iron, folate, thiamine, calcium, vitamin B12, and zinc. Of course, humans got along just fine without such intake of grains and vitamin enrichment not that long ago in our history, and most of us do eat too much in the way of grain (particularly refined wheat) based products; so eating a more balanced diet with plenty of fruits, vegetables, and protein, rather than what many of us consume- grains, grains, and more grains- is generally advisable beyond a discussion of gluten. In any event, while a total gluten-free diet isn’t recommended for most of the population, and evidence of any benefit of such a diet is scant, the gluten-free industry has skyrocketed over the last decade. In February 2014, the New York Times reported that sales for gluten-free products, which are generally much more expensive than their gluten-filled counterparts, topped ten billion dollars in 2013. Additionally, eleven percent of households in the United States purchased gluten-free products in 2013, up from five percent in 2010. Gluten sensitivity and celiac disease is rising across the world, but even today only a small percentage of the population is affected by it. No matter, because if we have learned anything, it’s that if there is money to be made, many companies will capitalize on it, and the significant markup on gluten-free product is certainly a great way to make money- even if it means convincing people they should be buying something that they don’t really need… which is kind of what much of business and marketing is all about, so nothing unique here. On that note, I highly recommend you read this piece: Who Invented the Food Pyramid and Why If You Follow the U.S. Version You’ll Be Eating in an Extremely Unhealthy Way. If you guessed that the nutritionists involved in the development of the U.S. Food Pyramid were a tad upset about what it became after lobbyist had their say (including significant changes made thanks to the wheat industry), you’d be correct. A large percentage of “gluten-free” products are not actually gluten-free. They simply contain a level of gluten that is deemed harmless (usually considered to be under 10 mg per serving). The problem is that “10 mg” is kind of an arbitrary number based on few reliable studies. It wasn’t until the 1940s that Dutchman Dr. Willem Karel Dicke discovered that wheat was causing the worsening of symptoms in people with celiac disease. He observed this thanks to a famine in 1944 resulting in a shortage of bread, which in turn resulted in his patients afflicted with this disease getting better and death rates dropping to near zero. Once the famine was over, the death rate went back to what it was before. A few years later, it was discovered that it was the gluten in the wheat that was the culprit. It has been proposed that a gluten-free diet may be beneficial to those on the autistic spectrum. Despite being widely touted by certain individuals treating autistic individuals, a variety of studies have been done conclusively demonstrating that there is no benefit to autistic children who don’t have digestive problems. Gluten-Free Diet: Imprudent Dietary Advice for the General Population?